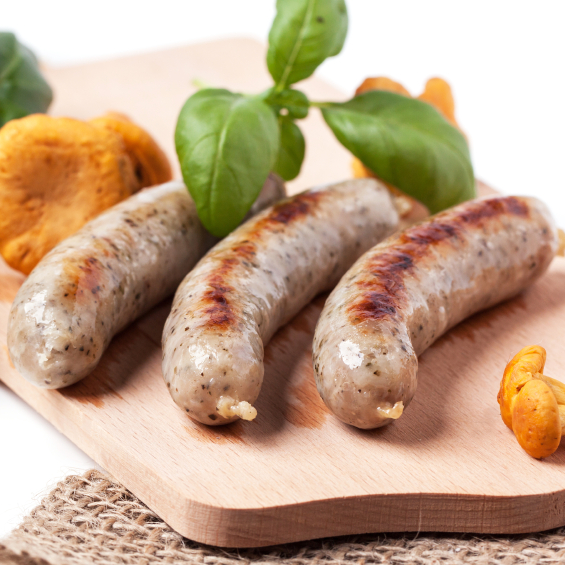 If you want to try something a little different from ground beef and pork sausages, get to know our beef german sausage and beef bratwurst. In addition to beef, the german sausage contains salt, black pepper, smoke flavoring, and garlic. The bratwurst ingredients include salt, black pepper, caraway seed, nutmeg, and marjoram. Each pkg weighs 1 lb & contains 4 links at 1/4-oz each.